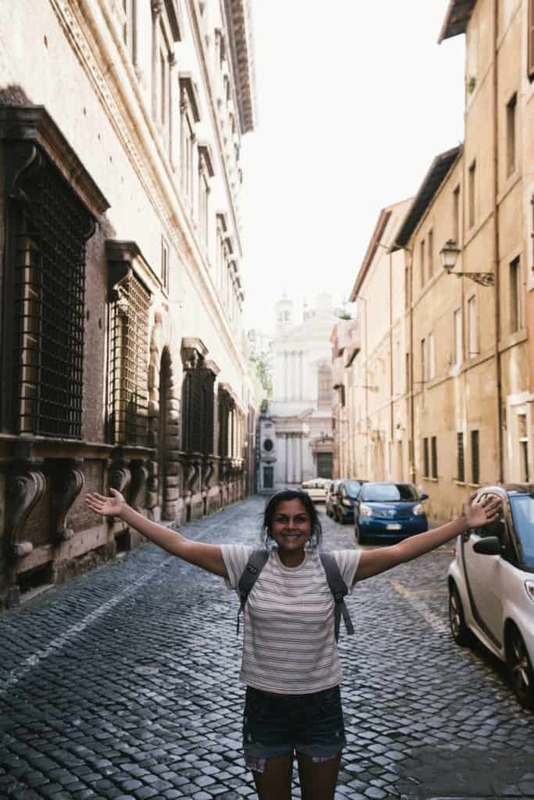 The first question I asked myself upon arrival in Rome was, "Is it even possible to enjoy Rome to its fullest without indulging in all of the glorious pizza, pasta and gelato?" 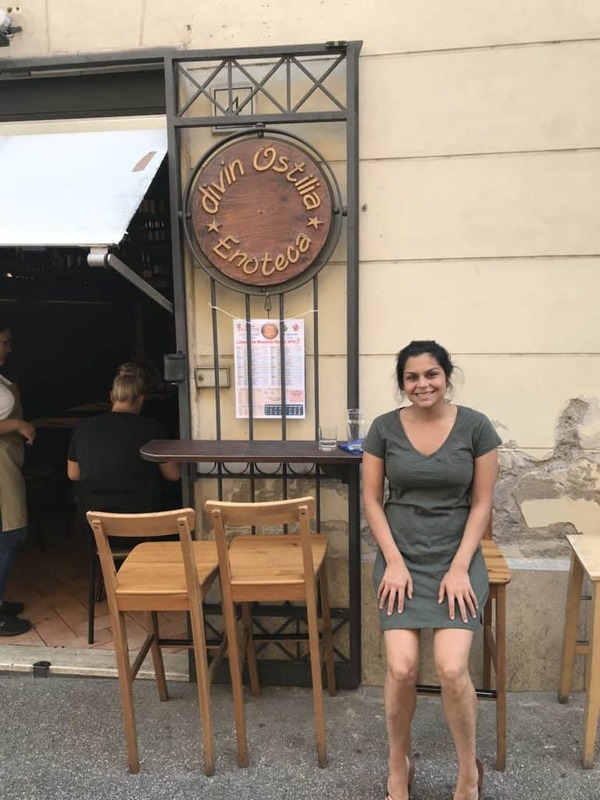 Sure enough, I quickly learned that traveling low carb in Rome was not only possible, but made my entire Roman experience a better one. We stayed in an incredible little apartment right around the corner from the Colosseum! if you can get your hands on this Air BnB I highly recommend you snag it. It's perfect distance to a 24 hour market, the most delicious meats and cheeses, and of course walking distance to beautiful city sights! 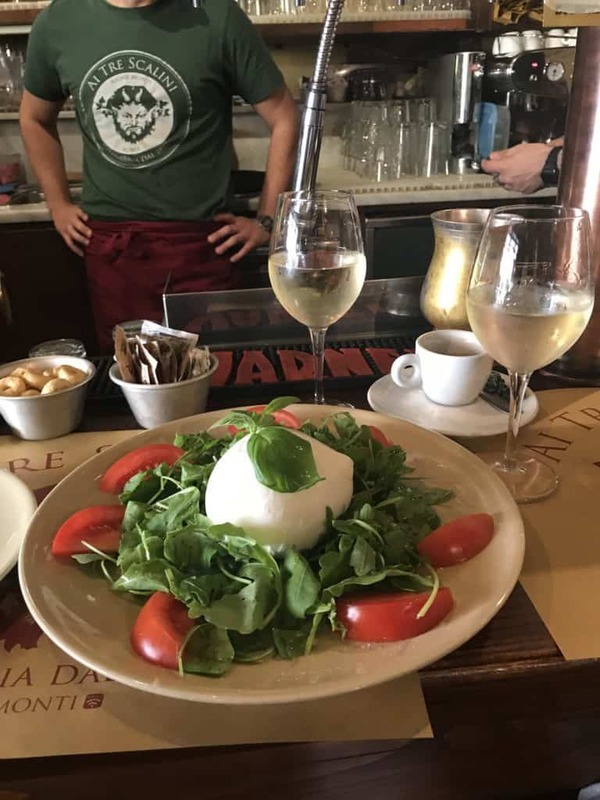 Never underestimate the life changing differences in flavor and texture you'll find among all the cheeses, meats and vegetables you'll eat in Rome when comparing them to foods in The States. Caprese salad was a must everywhere I went. Tomatoes are fuller, juicier and even sweeter, and I can't even begin to put into words the subtle, but powerful flavor fresh mozzarella adds. Nothing will ever hold a candle to the tomatoes and mozzarella of Rome. Let's start with the best part, the food. 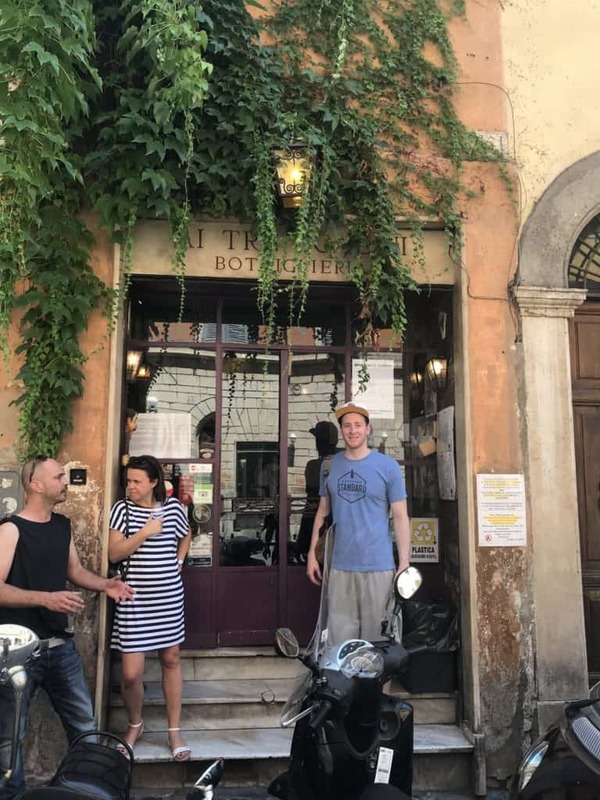 Before leaving for Rome, we got tons of questions asking if we were going to "cheat" or enjoy some of the high carb food Rome has to offer and to be completely honest, we originally planned to try some pizza. We knew it wasn't going to be our first meal because we didn't want to start off with any of the potential negative side effects, so as you can see below, we kept it low carb. We never did try the pizza! 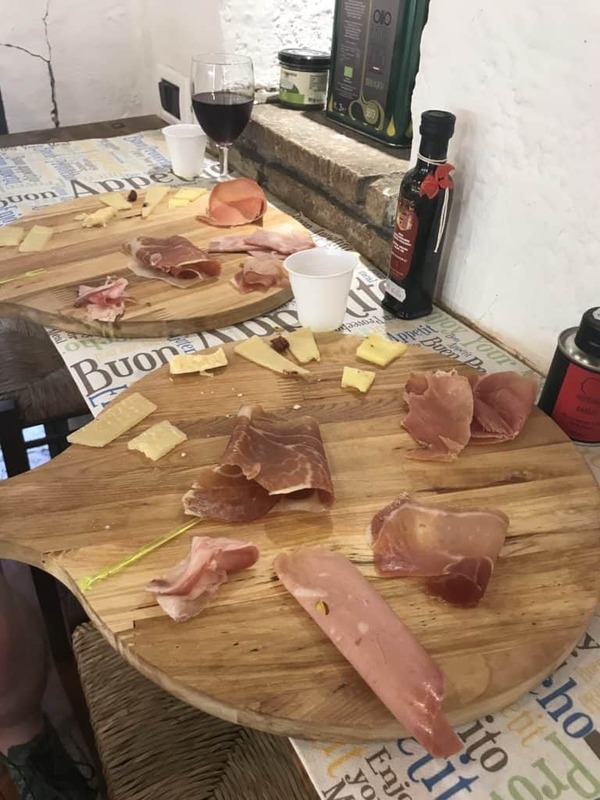 First Meal: a delicious cheese and meat board (sorry in advance, you'll be seeing this a lot throughout the post), two glasses of dry white wine, and of course, a caprese salad! Total Carbs: Just by looking at the picture, we hit approximately 15-20g total carbs with this meal. It may sound high, but each day we walked anywhere from five to seven miles and the majority of our carbs came from wine and tomatoes! 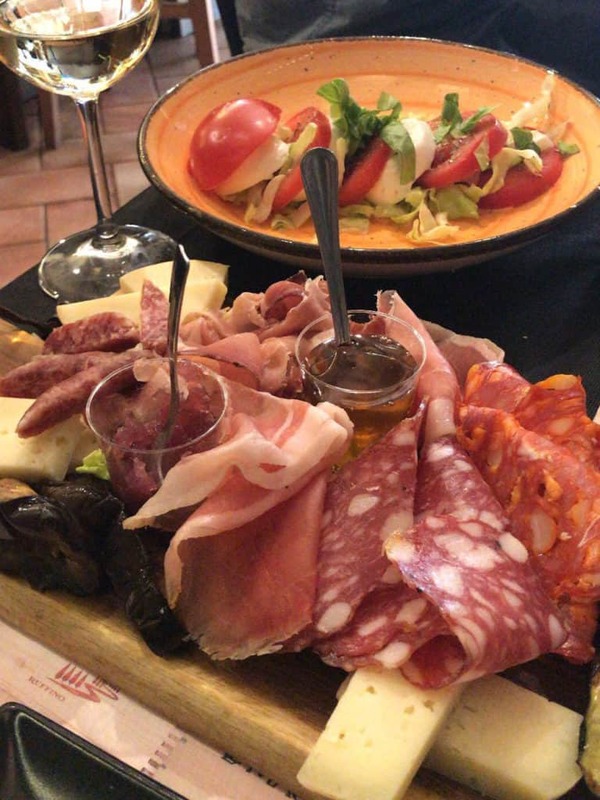 It was the perfect start to our trip in Rome, and we knew from that moment onward that we would be having a lot of meat and cheese boards during our stay. (Spoiler: We did!) As an FYI, we didn't track any of our meals or macros on this trip. We ate where our bellies took us and drank all of the wine! We spent two out of our five days on our own little wine bar tour using Yelp and food blog recommendations. 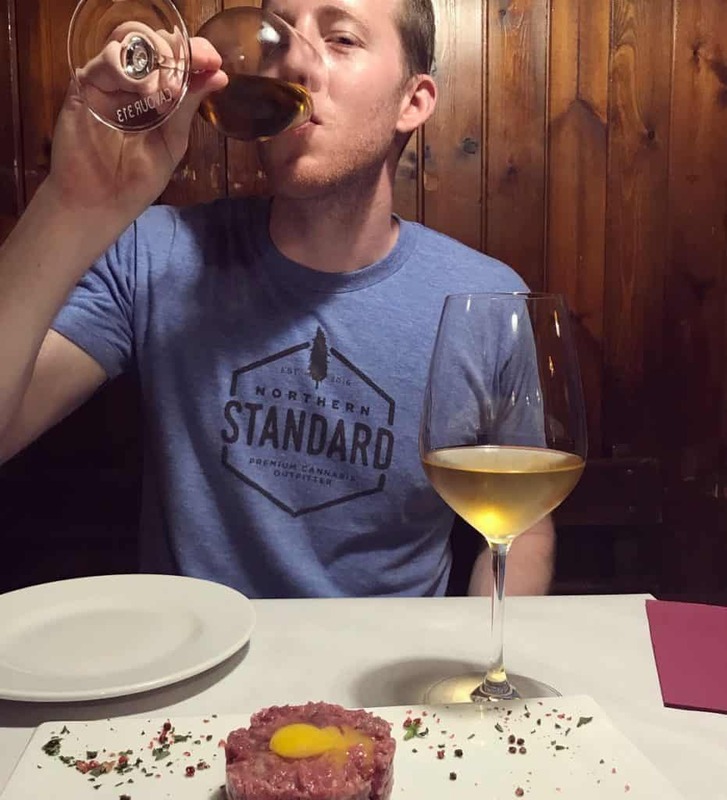 We tried a new wine and appetizer at each stop, and it was one of the best things we did while in Rome. Appetizer: Beef wrapped in sauteed radish leaves with spinach. We arrived 20 minutes before it opened, so decided to wait and walk around. This was a great decision and a great start to the wine bar tour! The inside felt extremely authentic and the main chef (you can see him in the background of the pic below) came over to us and tried to describe each meal. Although his English wasn't perfect, you could tell he cared about his food. They also gave us a free shot of sherry at the end, which we pretended to drink since it was pure sugar! The place oddly has an Irish pub vibe that kind of threw me off, but overall it was a good spot to go, was in a great location, and near a lot of other food and walking spots! This was our favorite spot of the day, and possibly of the entire trip! It was very intimate inside and felt like a secret locals spot. The waiter was extremely friendly and the food was incredible. I felt like I was at a ranch. All of the furniture was made out of wood and very uncomfortable. It felt very old and gloomy inside and we were the only people there. That being said, we took a chance on the tartare and it was actually really good (Matt didn't entirely agree). Not worth the trip, in my opinion. This place was located near our AirBnB, which made it a very convenient last stop, but the service wasn't great and the food wasn't extremely memorable. That being said, if you are in the area, it's a good option for wine and has a great atmosphere! We took every chance we got to eat good food and drink wine. 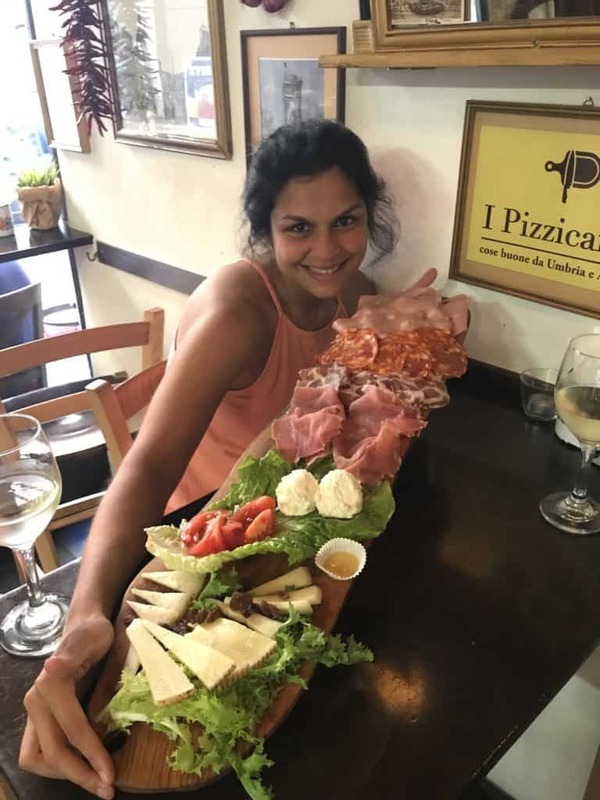 Because we stayed keto our entire trip in Rome, we weren't tired or sluggish from any pizza, pasta or gelato, which gave us more time to experience the incredible city and try all of the eats! 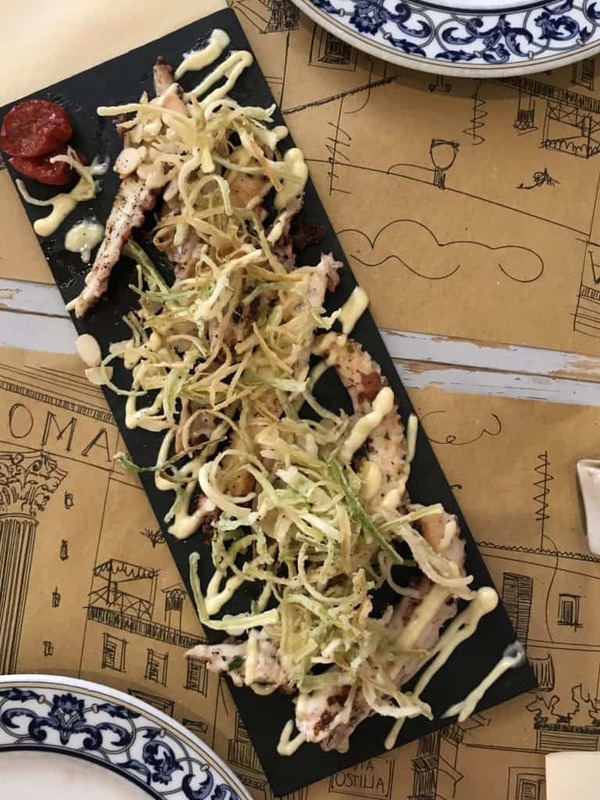 The photos above are from a place we stumbled upon and where we were fortunate enough to try some of the best grilled octopus of our lives! It came with fried leeks on top, so we just removed them and ate the keto-friendly octopus. A great TIP when eating out is to ask for anything that comes fried to be prepared in another manner, such as grilled or boiled or omit it completely! We even asked for sauces and salad dressings on the side! Our last stop in Rome (above) did not disappoint! It was by far the biggest meat and cheese board we had and we ate every single bite. Some boards will come with a flavorless cheese or weird textured meat, but this one was perfection. The two balls in the center were fresh ricotta, and if you've never had fresh ricotta (one or two days old), you haven't lived! While traveling, drinks are just as important and exciting as the food. We drank water non-stop, given the heat (80 degrees Fahrenheit) and all of the walking. 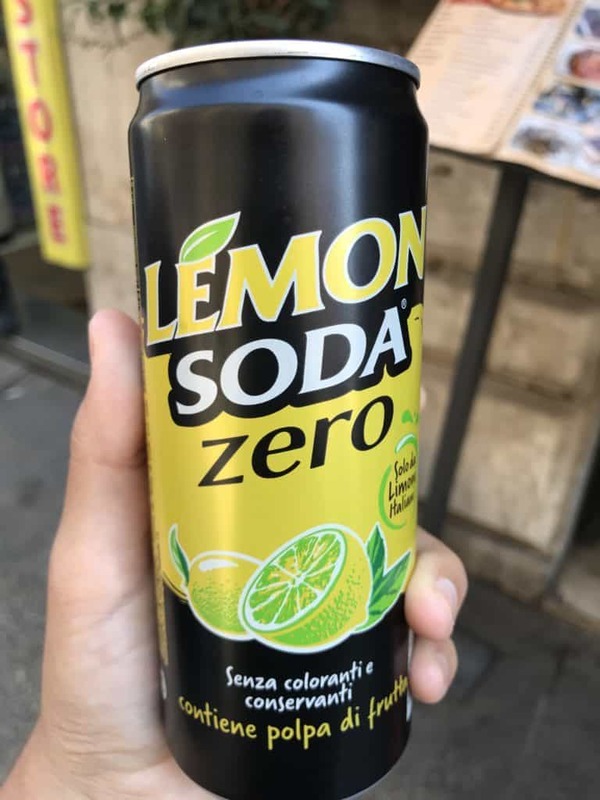 More importantly, we had (probably too many) espresso, wine, some whiskey and my favorite drink of all time, Lemon Soda Zero (shown below)! 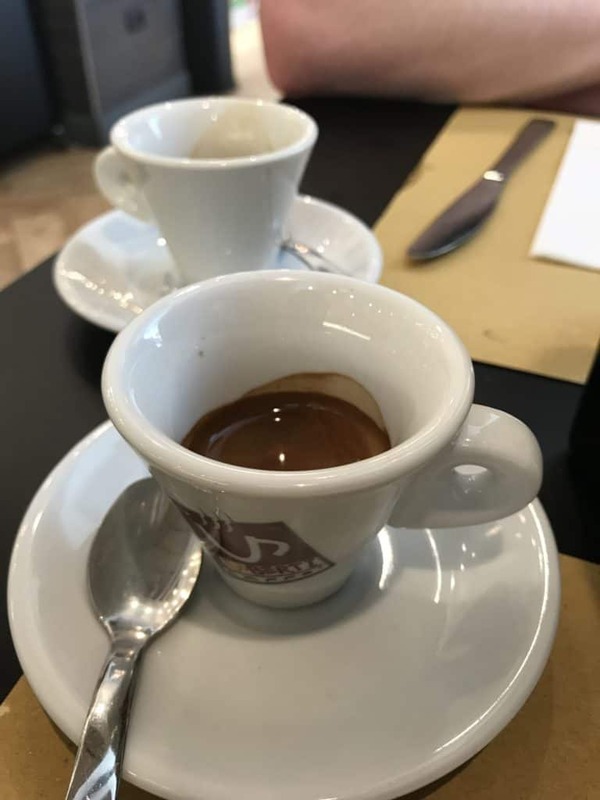 The Espresso: It was almost law for us to have at least three espressos per day at three different locations. 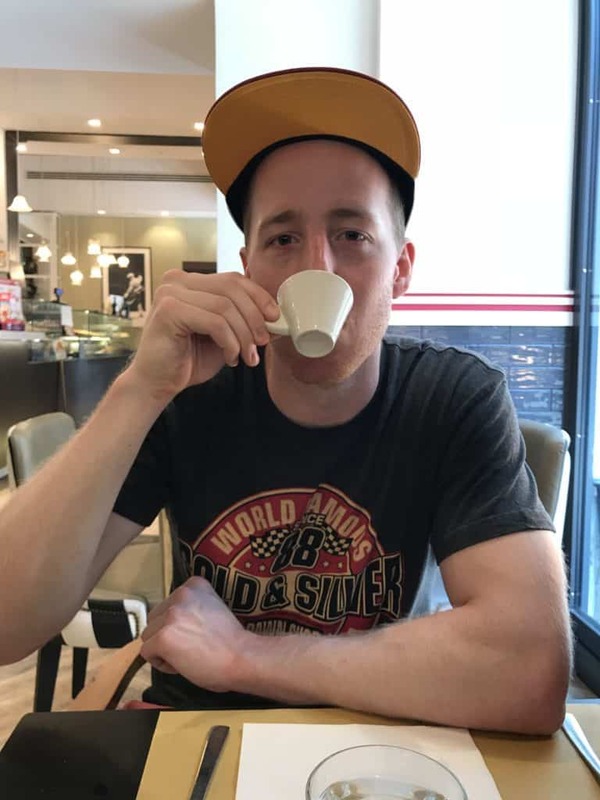 For one euro, you were handed a maximum three sip, extremely hot, robust drink. Each place had it's own take on flavors and each espresso was always worth it. 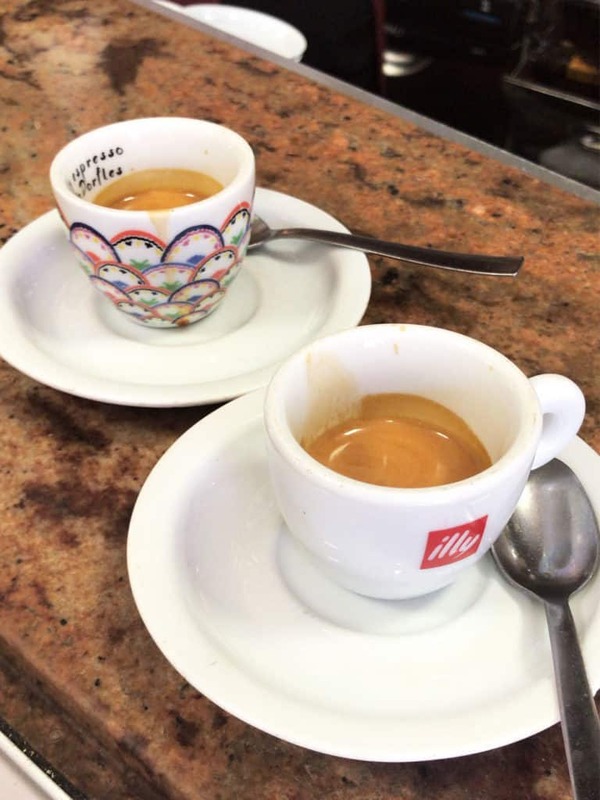 Do NOT miss out on the espresso culture in Rome! The Wine: Everything we ate paired best with white wine, so we always opted for white, and on one occasion we got whiskey. 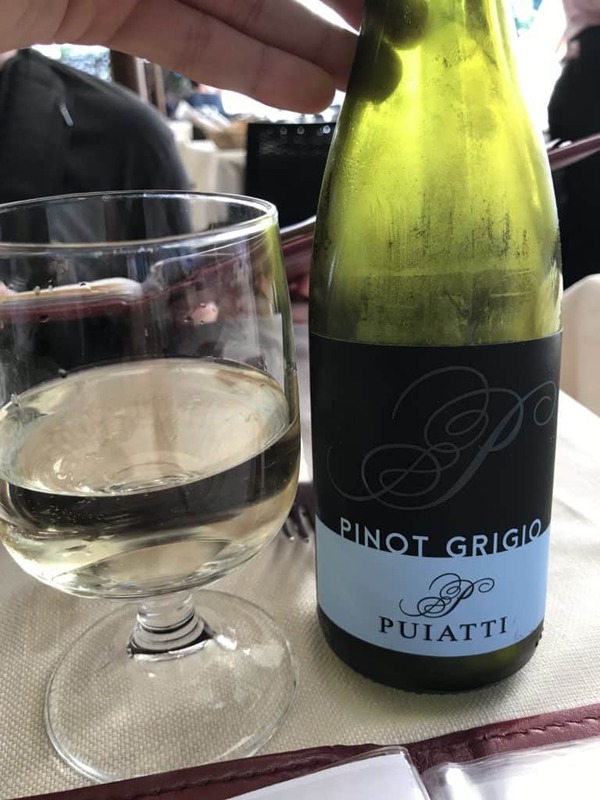 When asking for the wine, we always asked for the driest white wine they had and allowed them to pick for us. The surprise made it a little more fun! 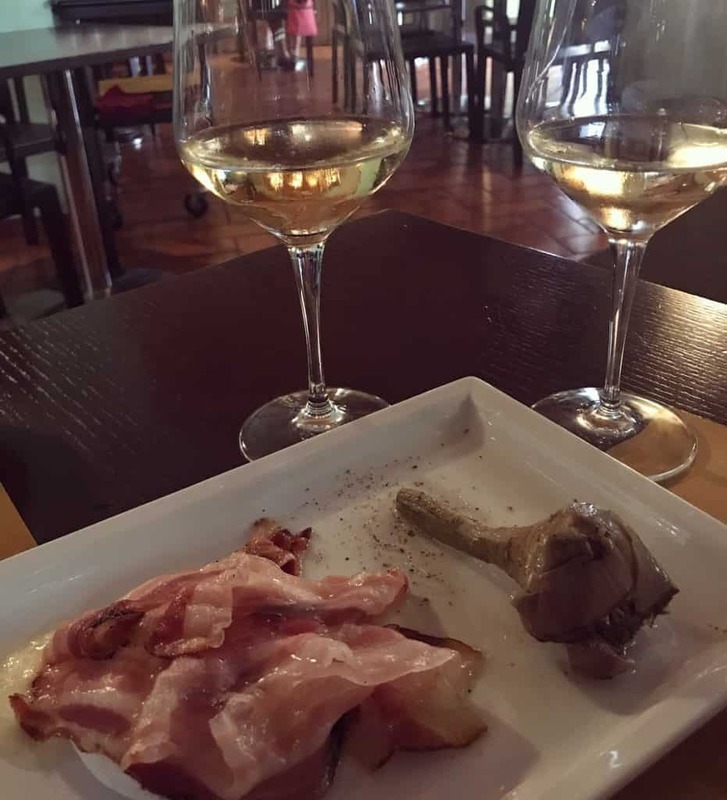 WINE TIP: My favorite wine from the trip, which we drank on several occasions, was Trebbiano! It was on the dry side, but still had some fruity notes and paired perfectly with all the foods we ate. My biggest tip to you when traveling to a new place with opportunities you may not come across often, is to live a little. Some extra carbs from wine or delicious tomatoes are not going to throw you completely off track or lead you back to bad habits! 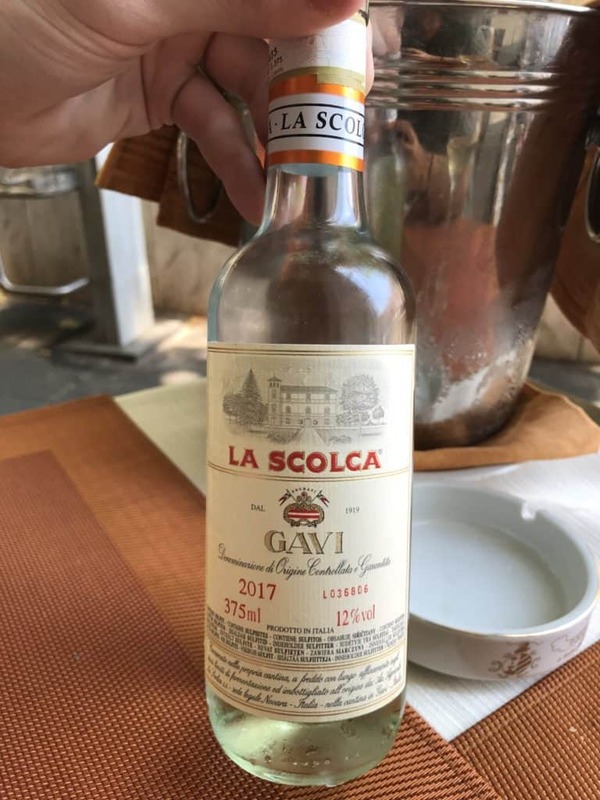 Above are two examples of wine we enjoyed without worrying about tracking all the macros, and as I write this post, I wouldn't have wanted it any other way. Wherever we went, we were on a quest for zero calorie drinks . Matt loves a good carbonated zero-calorie beverage, especially before bed. We had no luck in all the grocery stores in Rome, except for one location of a popular store called Coop. It is a co-op style supermarket with an amazing selection of meats and cheeses! We were on the hunt for Sprite Zero, so when we came across Lemon Soda Zero, we were pleasantly surprised! We planned a couple walking tours and AirBnb tasting experiences and they took our trip to the next level. I think walking tours are a must. 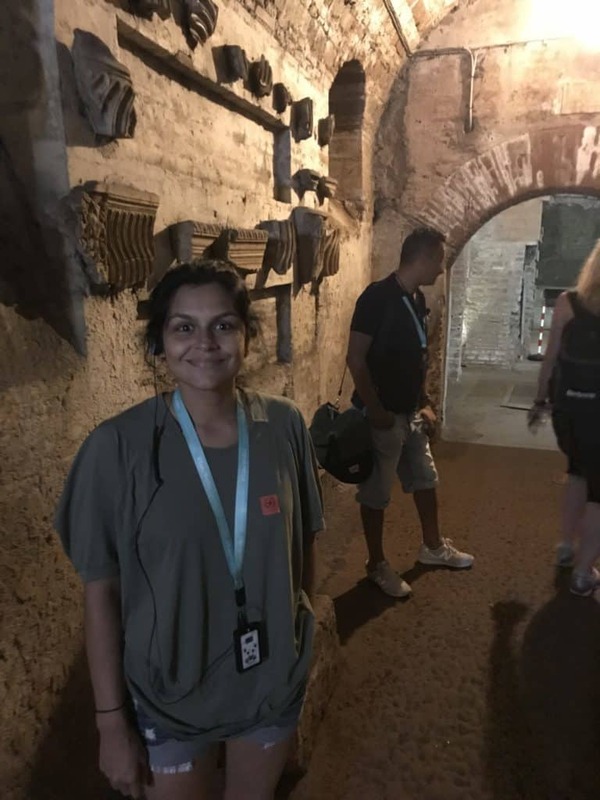 For the price of 150 dollars for two people, we had a three-hour guided tour through historic structures we may never have had the chance to see on our own. 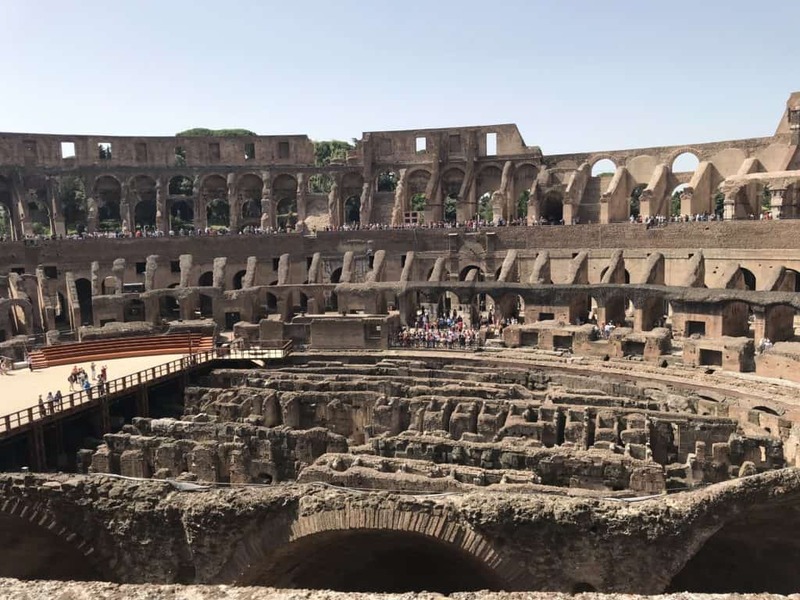 To book our tour of the Colosseum (above) and Roman Forum, we used Walks Of Italy. Though everything we saw was gorgeous and full of incredible history, the tour guide wasn't the best. I would suggest using another company if you're planning on doing walking tours in Rome. We saw at least three others! The Catacombs (below) tour was my favorite of the two. We had a great tour guide and all of it was indoor, so no sweating in the heat. Plus, catacombs have always fascinated me! Again, we used Walks Of Italy for this tour, but we may have just had a great tour guide. Definitely read reviews and plan ahead! 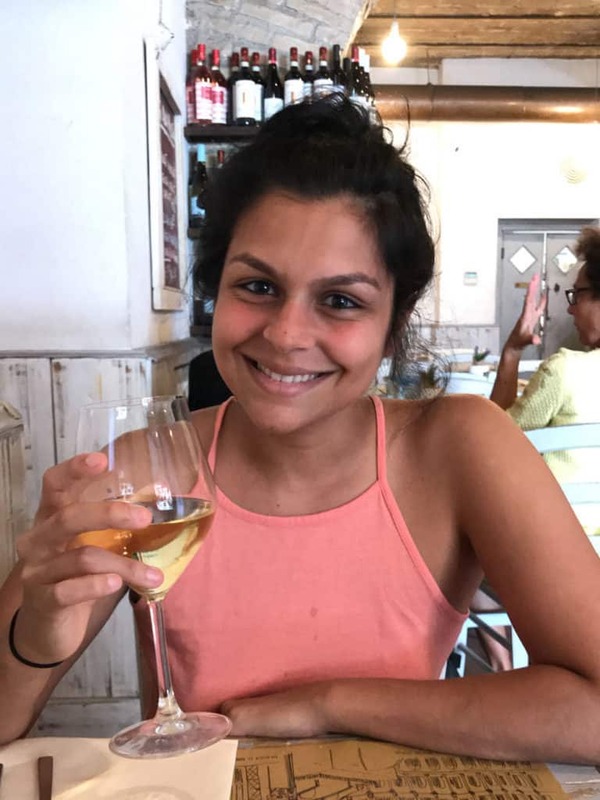 We did two AirBnb cheese and wine tastings which can be found in the Experiences section of the app, and we highly recommend you do the same! 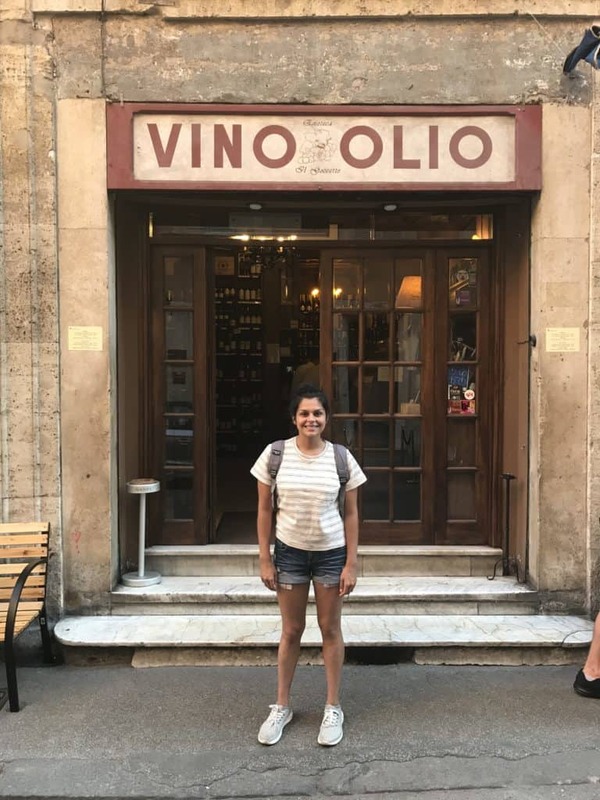 They were two of the best things we did in Rome, from tasting the delicious cheeses and meats, to learning about how to smell and pair cheese with wine, and how to detect fresh olive oil! 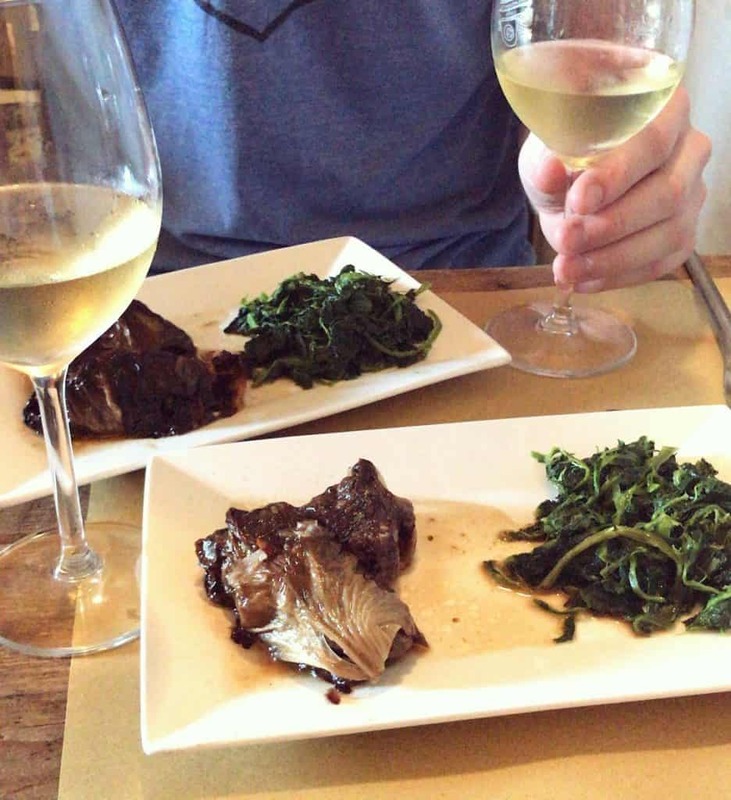 Our favorite experience (below on the left) was called the Wild & organic Roman Food: Eat & Learn and it's everything you could hope for and then some! 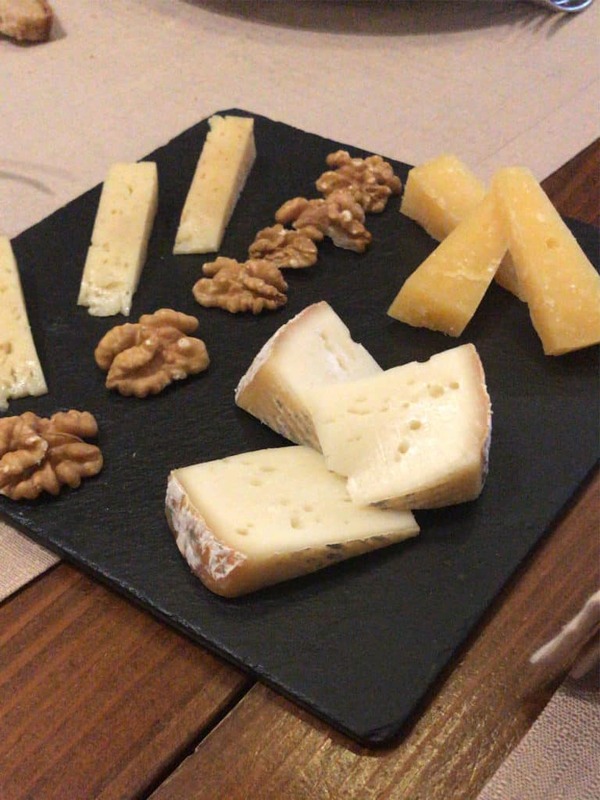 The second experience was another cheese tasting, but instead of pairing it with meats, we learned how to pair it with good wine and how to handle and detect fresh cheese. It was an intimate experience and the host was full of knowledge! 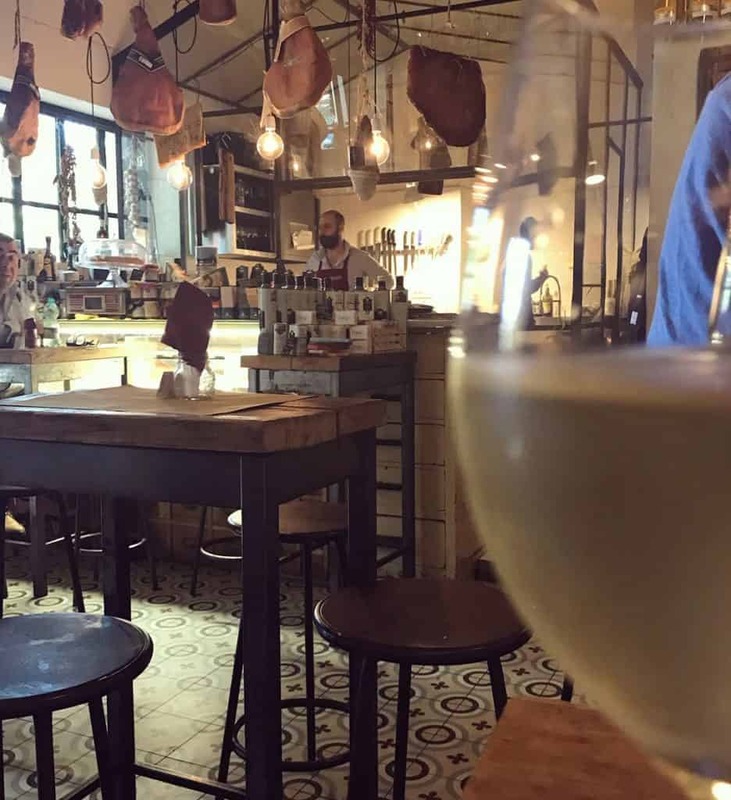 The experience (above on the right) was called Best Cheese & Wine Tasting In Rome. We tried nine different cheeses (only three shown) paired with three different wines! 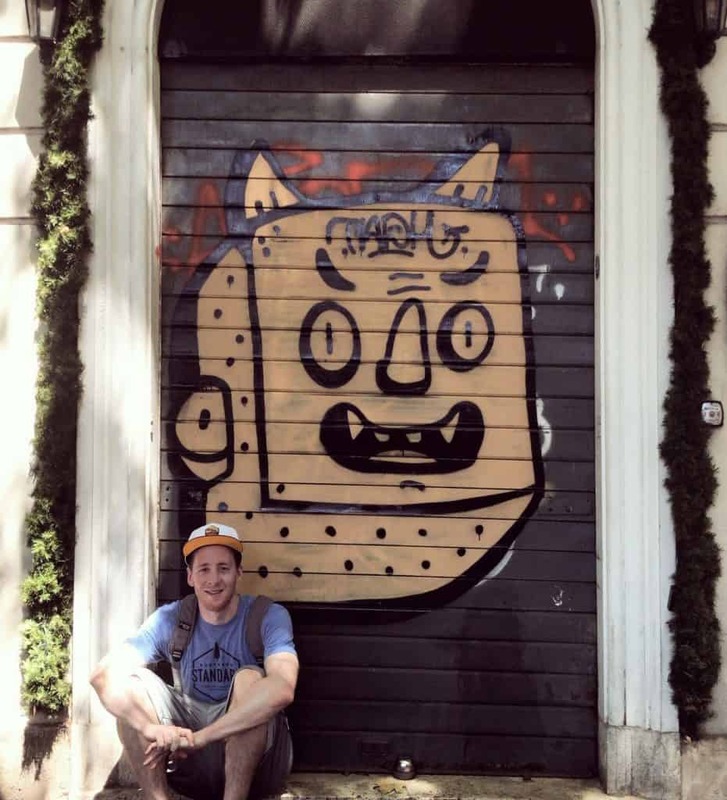 In no particular order, here are my biggest takeaways from low-carb traveling and some tips on how to make the most of your vacation! Take a break from tracking everything. Counting everything can make your experiences more stressful and less pleasurable. Understand it's okay to go over on your carbs by a little (or even a lot at one point). It's not going to set you back to the start. 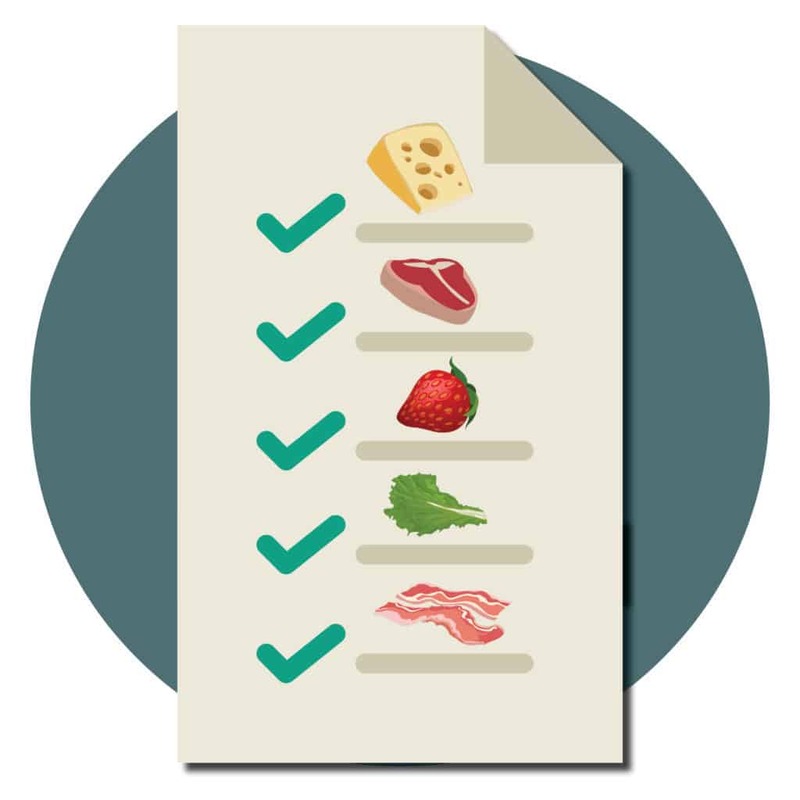 You have built a foundation of keto knowledge you can return to once back home from your trip. Ask servers how things are prepared (grilled, fried, boiled, steamed) and don't be afraid to ask for other sides or substitutions. 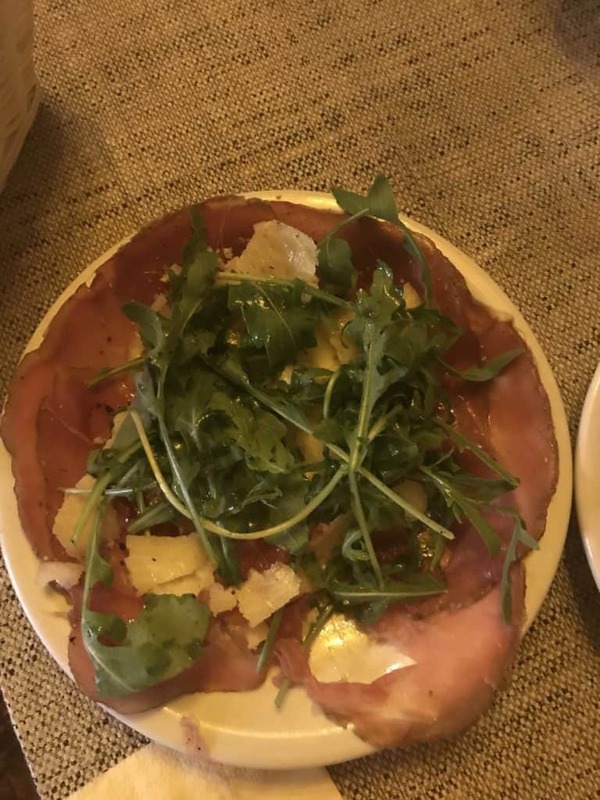 We ask for dressings on the side so we can try them first, then we ask for a side of olive oil in case the dressing is sweet. Stick to liquor, dry wines or the occasional low-carb beer when drinking. Make sure to hydrate between each drink. This helps us stay at a good pace and avoid hangovers! Good mixers are diet sodas and zero calorie drinks. Zevia even has a line of mixers, our favorite is the ginger beer! We usually opt for scotch on the rocks. If you use a supplement like Vega Hydrator, we like to drink that before going to bed on nights we drink. Drinking leads to dehydration, so replenishing electrolytes helps with recovery. Get in some form of activity every day, even if it's just walking. In Rome, we walked an average of five miles per day, which helped us feel good about all the drinking and eating! If your hotel or AirBnB has a gym, that's also a great option. Know yourself. If planning ahead is what makes you feel most comfortable, then research restaurants and menus ahead of time and plan out any cheats you want to have. Cheat if you want to, but don't overthink it. If an opportunity arises where you feel like you want to try something that isn't keto, go for it and don't put any focus on it later. If you know you'll regret it or it will be a slippery slope, then maybe it's best to avoid going off track. Return to your normal routine when you get back home. Don't make any crazy attempts to "get back into ketosis fast." Your body will run it's natural course!